It's been a little bit of a weird Christmas season. When we're in the office or the pension, we are listening to Christmas music, and we have all our decorations up, but then we go out to proselyte, and it's hot, smells like summer, all the kids are getting out of school, people are breaking out the barbecues, everyone is coming out to drink mate. Definitely a weird double world. But it's ok, it's still great. We are definitely being blessed in our area! 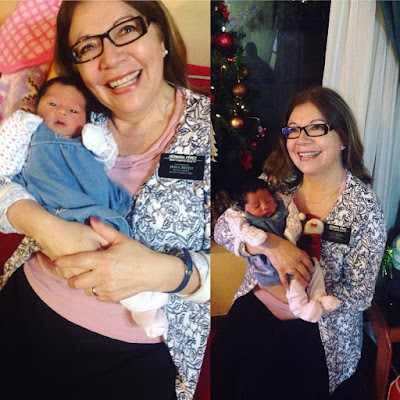 We have received so many awesome references, including a few from Hna Levrino (the wife of Elder Levrino, the area seventy who lives in our ward). She is absolutely amazing. 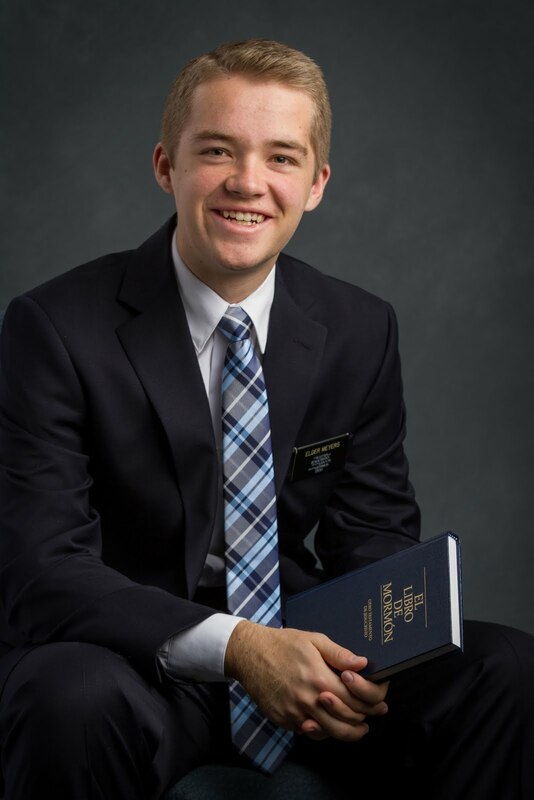 She gaves us some references, and so far each one that we've contacted, or that other missionaries have contacted (she gave us references that were in multiple areas in Santa Fe), has accepted a baptismal date! So we now have two investigators with a baptismal date! They are Gxxx and Axxx. Gxxx is about 28, and is the daughter-in-law of one of the members, and Axxx is her 8 year old son. When we went and contacted her, she told us the Hna Levrino had already given her a Book of Mormon as well as the the pamphlets from the first three lessons, and she had taught her how to pray, and that she (Gxxx) was now reading the Book of Mormon and praying every day, and that she had already received a response to her prayers and that she knew the church was true. I mean, what?? We literally don't have to do anything, just teach her a couple more lessons and help her come to church. I've never received a reference that was so absolutely prepared to hear the gospel. Truly the Lord is preparing the hearts of those who will heed His call. Axxx is super excited as well. Missionary work is the greatest. It is a joy unlike any other. Often times, we work long hours in the mission office, but my favorite part of every day by far is being out in the area, sharing the gospel and trying to bring a little more light into the lives of others. This is God's work. I know it. I just want to bear my testimony of obedience. Obedience is the first law of heaven. Obedience brings great blessings. Obedience brings peace, love, happiness, joy, and the power of heaven into our lives. If we will only obey the commandments of God, we can be happy! It is so simple, yet the devil does all in his power to make it so complex. That is why it is crucial to have the Spirit of the Lord as our constant, daily companion. The Spirit guides us, helps us to see and to hear, to not be blinded by the traps of the enemy of all. Obey the Lord in all things, and He will bless you, I promise! That promise is woven throughout the entire Book of Mormon. How many times have we heard the phrase "If ye keep my commandments, ye shall prosper in the land"? I bear testimony of the truthfulness of that promise. Obedience is the path to happiness! I love you all! I wish you all the very best this week and hope that you are having a great Christmas season, lighting the world one day at a time! Hermana Perez with her new grandbaby! Picture with the twin sons of the Levrinos, Tomas and Juan. They just put in their mission papers! They are both awesome and often go out on splits with us. Also with Hno Lisandro Reviriego, a returned missionary and YM president in the ward. Elder Carrion and I went to try this little restaurant place around the corner from the office today for pday. It was actually super good! I got the super good pork cut with pineapple sauce. Not bad.